Don’t let the fact that some stores are displaying their back-to-school supplies fool you because summer is still in full force! Hopefully you are soaking up all that the season has to offer: baseball games, music in the park, and other outdoor events. 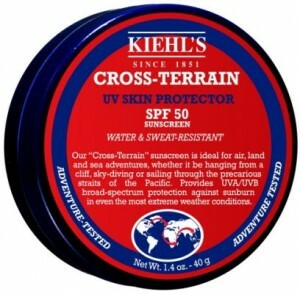 Once again, Kiehl’s has the solution to your active outdoor lifestyle with their Cross-Terrain line. Although these products are geared toward men, the secret is that anyone can benefit from their amazing qualities. This unique slip-resistant formula contains sweat-absorbing volcanic extracts and soothing Aloe Vera. 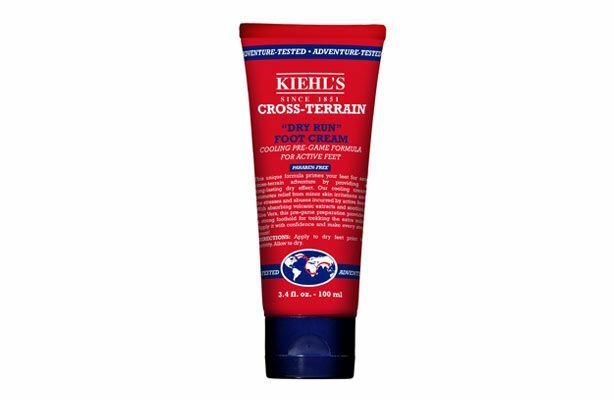 Its long-lasting dry feel and relief from minor skin irritations will prime your feet for any activity. One of our top-sellers, our customers find that it helps to eliminate foot discomfort due to perspiration and stresses that come with running. This Garden Gal recently tried it for the first time herself and swears it helped her finish her fastest 5K! Whether you are a participant or a spectator, the sun will find you in the great outdoors. 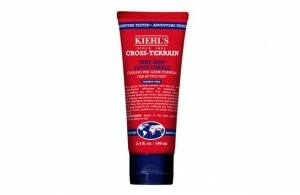 Kiehl’s Cross-Terrain sunscreen provides optimum UVA/UVB broad-spectrum protection against sunburn in even the most extreme weather conditions. Easy to apply, this product goes on clear and absorbs deeply. It’s water resistant up to 80 minutes, too. The convenient travel size makes it ideal for throwing in your pocket, purse, or bag. This is a must-have for one of our Garden Gals when she and her husband cheer on the Twins at Target Field! Finally, we have the All-In-One Refueling Wash. This energizing wash will thoroughly cleanse your hair, body, and face without over-drying your skin and effectively condition your hair. It is formulated with an invigorating blend of Menthol, Vitamin E and Citrus oil, for a refreshing, tingling sensation and coconut-derived cleansers and soothing Aloe Vera for added moisture. It is the perfect on-the-go cleanser for camping or any vacation where packing space is limited. Don’t forget that Garden of Eden is the only retailer in St. Paul that carries Kiehl’s. 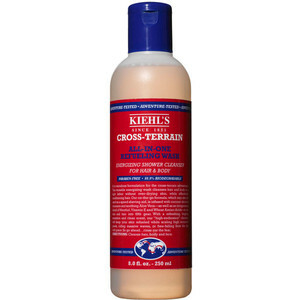 Visit us at our Grand Avenue location or online for Cross-Terrain and all of your Kiehl’s needs!